British Columbia is, among other things, known for being an outdoor paradise, and the Kootenays Rockies region certainly fits that bill. Small towns are scattered among the many lakes and rivers, waterfalls, mineral hot springs, wildflower meadows and snowy mountains. Your outdoor adventure is waiting here for you! Four of Canada’s national parks are located in this part of British Columbia: Glacier National Park, Mount Revelstoke National Park, Yoho National Park, and Kootenay National Park. Glacier National Park near Golden is Canada’s second oldest national park and is considered the birthplace of mountaineering in North America, as in 1888 two Brits completed the first recreational technical climb in the Selkirk Mountains. A number of years later Swiss guides that were provided to the guests of the Glacier House Hotel in Roger’s Pass established a network of trails that are used by climbers to this date. Great Bed & Breakfast accommodation can be found in Golden and Revelstoke as your starting point to explore this park and others. Hiking, mountain biking, canoeing and kayaking, white water rafting on the Kicking Horse River and horseback riding, bird and wildlife watching, all provide many outdoor adventures in the summer. 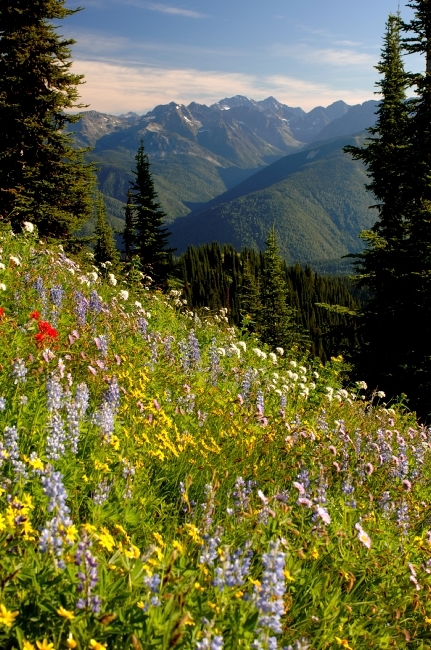 Kootenay National Park is particularly known for its wide variety of ecology and climate, from arid to mountain peaks. You’ll find a cold mineral spring at Paint Pots, to mineral hot spring pools at Radium Hot Springs. 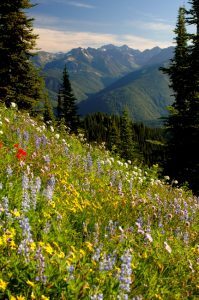 Enjoy two great interpretative trails at Mount Revelstoke National Park, the Giant Cedars Board Walk and the Skunk Cabbage Boardwalk, and alpine meadows covered in wildflowers. Yoho National Park features 28 peaks that are over 3000 meters high as well as Takakkaw Falls, one of Canada’s highest water falls. 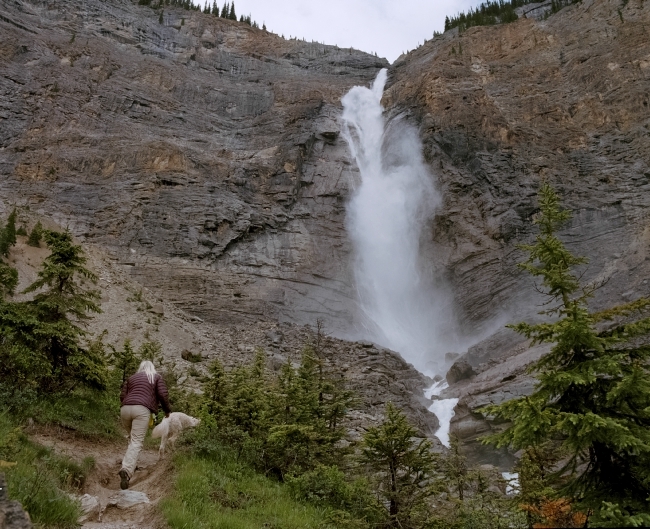 Explore the more than 500 million year old Burgess Shale fossil deposit and beautiful Emerald Lake and the Natural Bridge. Of course all national parks are free to explore this year in celebration of Canada’s 150th birthday! 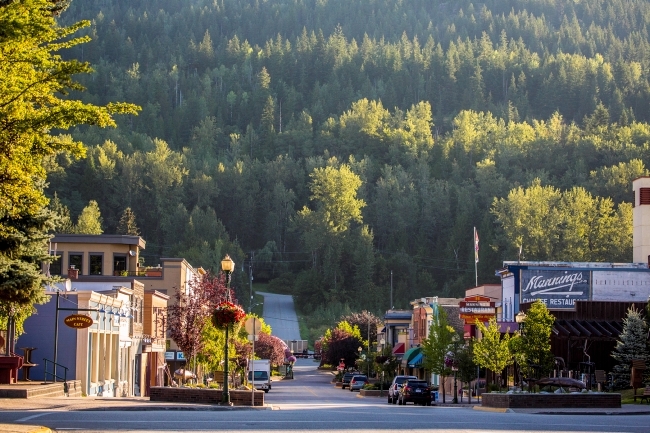 The Kootenay region not only has spectacular natural surroundings, but lively communities, great eateries, breweries, coffee roasters, unique shopping, arts & crafts and farmers’ markets. For history buffs, you can visit the SS Moyie, the oldest intact passenger sternwheeler in the world, at Kootenay Lake in Kaslo, or take in the Revelstoke Dam Visitor Centre. Revelstoke is also home to British Columbia’s premier railway museum, while in Castlegar you can learn about the culture and lifestyle of the Doukhobors at the Doukhobor Discovery Centre. Nelson is a great historic little city with hundreds of heritage buildings, great restaurants and sidewalk cafes, and the most active cultural scene in the Kootenays. There is so much to enjoy and discover in BC’s Kootenay region this summer. Book your accommodation at a Kootenay B&B as Bed & Breakfast hosts are always a great resource when staying in an area, as they’ll know all the fine details of what to see and do and how to get there. Have a great summer in the Kootenays!